The medi pedi (medical pedicure) is a combination of therapies involving a full podiatry treatment fused with a relaxing, therapeutic finish. 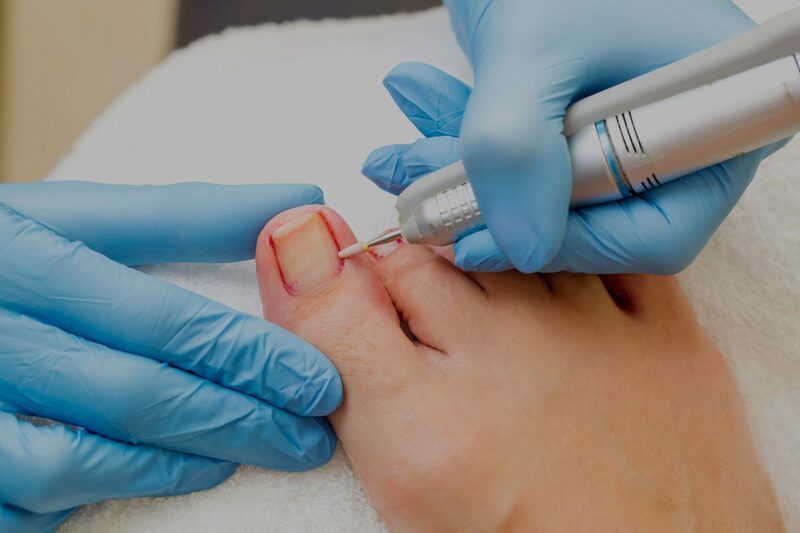 This 45 min treatment performed by our podiatrist involves the treatment of all nails. This includes trimming, thinning and cleaning of nail borders. Thick, damaged and fungally infected nails can also be treated as part of this offering. All skin lesions such as callus and corns are treated and dry, thickened heels are buffed to a smooth finish. The treatment performed on the skin and nails is done dry to improve the finish. A foot mask is applied to rehydrate the skin, then a foot scrub follows with a deep moisturising foot massage to finish off the treatment. This treatment not only leaves your feet feeling great but looking great also. It is the perfect treatment pre-holiday or for that special occasion when you need your feet looking fantastic. Suitable for all ages and all skin conditions as we use safe, hypoallergenic products. Treat yourself of a loved one today, call us on 01224 643803.